July 17, 2016 is National Ice Cream Day! Come visit the Cumberland Valley and follow a trail to the cold, sweet, creamy treat. 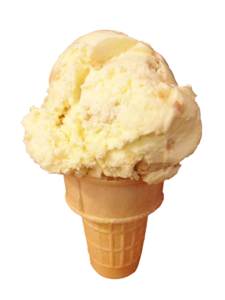 Here is a list of all the local Ice Cream Shops by town within a 20 minute drive of our B&B. Rakestraw’s Ice Cream Company Store, at 313 S. Market St., has been making and serving ice cream for over 30 years. Stop in for a cone, sundae, or milkshake. Eckels Ice Cream Fountain is located in the historic Eckels Pharmacy on Main Street in Mechanicsburg. This shop was used as one of the sets for the movie “Girl Interrupted”. Take a step back in time when you visit this old store. 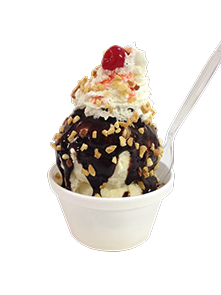 Maggie’s Italian Ice and Custard has been serving their specialties for over 18 years. They usually have about 14 flavors of regular Italian Ice. A unique treat is their Cream Ice, including flavors such as Cookies and Cream and Mokacinno. Maggie’s is easy to get to and they have a drive-thru window. It doesn’t get any easier than that! If you’re looking for something maybe a little more healthy, Bamboo Frozen Yogurt and Sweet Frog Frozen Yogurt stores are also in the Mechanicsburg area. Massey’s Frozen Custard is known for some of the best frozen custard and milkshakes in the whole area. Special flavors vary from week to week. Leo’s Homemade Ice Cream makes their own ice cream and has a wonderful variety of flavors from salted caramel to chocolate chili pepper. The covered pavilion in the back makes a nice spot to enjoy your cold treat. Twirly Top Drive-In is a staple for folks on their way to or from Pine Grove Furnace State Park. A cool treat after a day of hiking just hits the spot! Goose Bros Ice Cream is famous for their large list ice cream flavors. All made fresh, the flavors come and go as the seasons change. Cabin on King celebrates Ice Cream with wild creations such as the “Lip Schmacker” – a peanut butter sundae that includes a peanut butter cookie. Kristy’s Whistle Stop serves ice cream and cooked food including burgers and hotdogs. Watch the trains in the Enola Train Yard while finishing your sundae from Kristy’s. Celebrate National Ice Cream Day (and any day) with a special cool, homemade treat from one of these local businesses! I scream, you scream, we all scream for… ICE CREAM! This entry was posted in Restaurants, Summer activities, Uncategorized by admin. Bookmark the permalink.